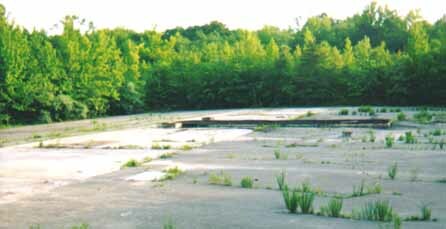 In 2002, Evesham Township had the Launch Area cleared of the debris left from demolishing the buildings at the base and illegal dumping. 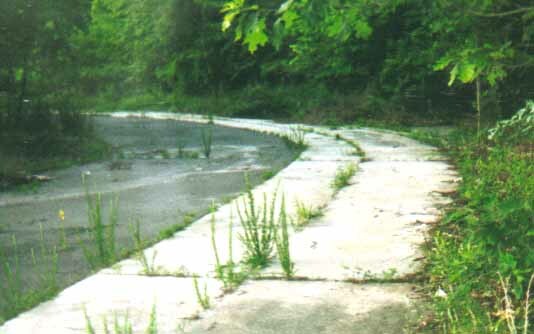 These photos show the site after the clean-up. 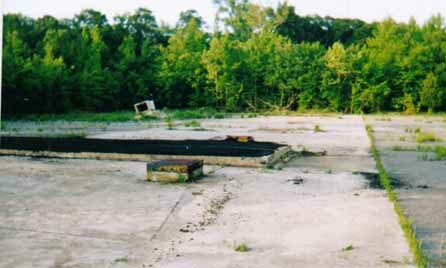 PH 32's Launch Area as viewed from the Fueling Area. 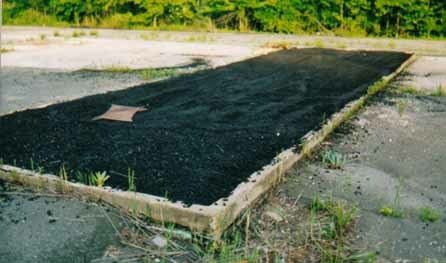 Along with the clean-up, the magazine elevator doors were coverd with asphalt. 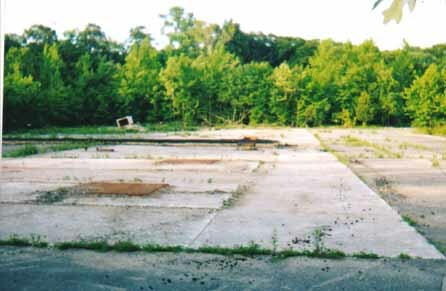 More views of the cleaned up Launch Area. The launcher blast plates have been uncoverd. Two of them can be seen in this photo. 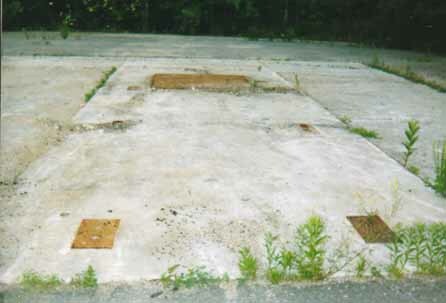 One of the eight launchers was mounted here, the blast plate is at the rear. 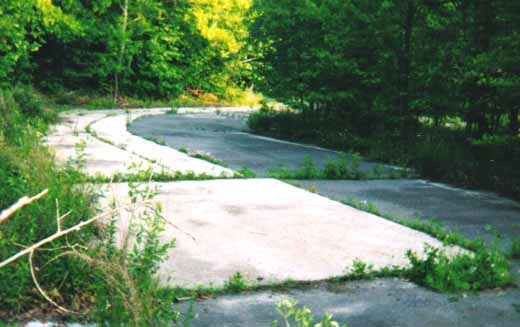 The missiles were pushed on dollies along this concrete walkway which led to the fueling area. The missiles were fueled here.